What ?.... Do you think that Spock is not illogical ? 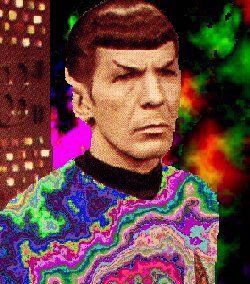 On the left you can see Mr. Spock wearing acid dress: is it logical? We want to go on demostrating the total illogicity of Spock. 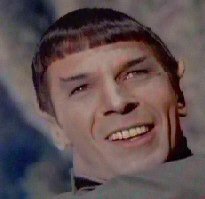 Spock is smiling (illogically) without any reason (illogically). is jumping on Capt. 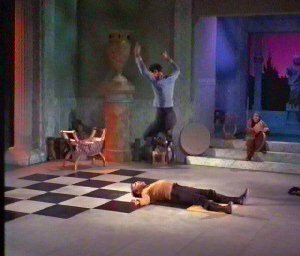 Kirk, trying to kill him ?! There is no logic in Spock's illogicity!